So you want to be a famous musician? 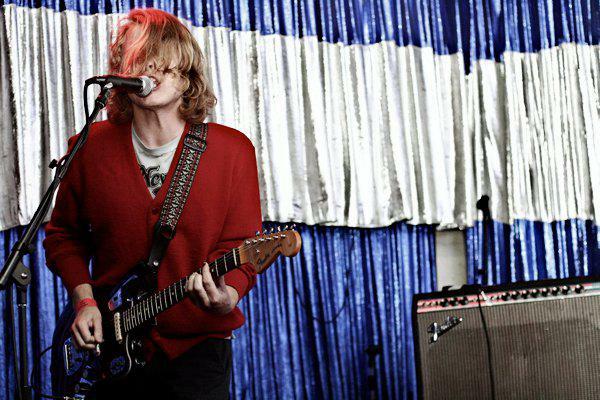 File: Garage rocker Ty Segall. On May 15, prolific noise rocker Ty Segall announced that he will be releasing a new album this August called Sleeper: his seventh solo record and first 2013 addition to an impressive discography of over 35 releases (both solo and collaborative) since 2005. But while some people idolize the 26-year-old garage-punk prodigy from San Francisco (his name was even trending on Twitter on the day of his announcement via Pitchfork), others still have no idea who he is. Segall exists in an odd bubble of half-fame and half-obscurity, in which he can play to sold-out venues across the country and still hang out in local record stores without being bothered too much. Unfortunately, most aspiring rock stars won&apos;t even get that far. The digital age is both a blessing and a curse for modern-day musicians. Websites like YouTube and Kickstarter can equal big business for artists, as online campaigns allow them to reach out to their fans directly via socia networking and potentially become viral sensations overnight. On the other hand, free music streaming sites like Spotify and Pandora provide little financial yield for the musicians themselves ($0.004 per play if you&apos;re unsigned) and cannot be relied upon to cover the ever-mounting costs of travel, instruments and gear, recording sessions and software, album distribution and any additional publicity required to become a household name. Also, it should be noted that unless you&apos;re playing sold-out ampitheatres á la Paul McCartney and Justin Bieber, ticket sales won&apos;t net you a fortune either. Lots of musicians get a jumpstart due to wealth or family connections, like when Taylor Swift&apos;s investment broker father spent millions of dollars to finance her first album in 2006 and when Lana Del Rey&apos;s millionare parents bought her out of one contract to sign her with another more lucrative label for instant stardom in 2011. Does it depress you that Kelly Osbourne (daughter of Ozzy) got a record deal to sing horrible Madonna covers, while scores of other truly talented bands and artists have dwindled into obscurity? Unfortunately, this kind of gross nepotism runs rampant in the music business today (see Jann Wenner putting his 22-year-old son in charge of RollingStone.com) and in most other areas of the entertainment industry as well. So, how do artists make money when they don&apos;t already have the money to spend? Selling merch: Retail CDs, vinyl, t-shirts, buttons, stickers, lighters, koozies and other creative items that are cheap to buy in bulk (and thus more likely to turn a profit). Dominating YouTube: Racking up views on this global channel could not only catch the attention of a major record label, but also garner you up to $1,500 per one million streams from advertising and/or corporate sponsorships. Making a deal with iTunes: Independent artists usually see the most revenue from their albums via iTunes digital downloads. Full album downloads at roughly $9.99 could add up quickly, especially as you build your fanbase through touring and social-networking around the world. Getting your song on a TV show: Start making those L.A. connections, because licensing fees for even just a small clip of one of your songs on a show like Breaking Bad could amount to a cool $250,000-$600,000 paycheck. Many relatively well-known musicians still keep their day jobs; not surprising, considering that the average musician makes only $34,000 off their music in America each year before deducting expenses from touring, recording, etc. (which, given the rising prices of gas and fancy recording software, can wrack up quite the bill). Even Pitchfork-famous indie artists like Grizzly Bear and Cat Power have struggled to make ends meet; so be practical about the pros and cons of a musician&apos;s lifestyle before committing to it full-time. If you&apos;re only making music for the money, then you should get out now. But if you truly love what you do—and don&apos;t mind riding in a smelly tour bus, starting out in tiny venues and living off Ramen noodles for months (or years) until you get your big break—then ignore the haters and keep rockin&apos; on.